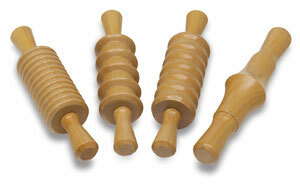 Creativity Street Rolling Wooden Tools are excellent for making impressions in clay and other soft modeling materials. They're a quick and easy way to give your projects that extra touch of creativity. The set includes four tools, each measuring approximately 6½" (17 cm) in length.